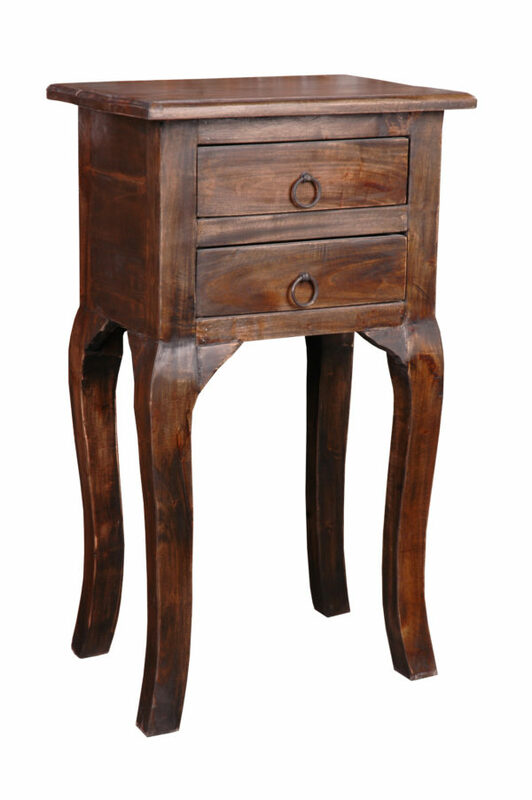 Add a touch of nostalgia to any room with this lovely wood side table. Table is finished with a beautiful shabby chic vintage iron stain that is applied by hand. Its long elegant curved legs and unique wood finish will add character to any room.